Reverend Father Ninos Elya to be elevated to the ranking of Archdeacon for the Holy Church, in preparations for his consecration as bishop on Sunday the 16th July in St Abdisho’s Church, Melbourne as elected by the Holy Synod. The Church will be anticipating the attendance of His Holiness Mar Gewargis Sliwa Catholicos Patriarch accompanied by a number of esteemed prelates. Reverend Father Narsai Youkhanis to be elevated to the ranking of Chor-Bishop for the Holy Church, in commencing his international youth ministry as elected by the Holy Synod. Deacon Neil Makko to be elevated to the ranking of priesthood and taking on the responsibilities of Saints Peter and Paul Church in Cecil Park, Sydney. Deacon Neil will relieve Rev’d Fr Ninos as he commences his bishop duties for Melbourne in July 2017. At the same time, Deacon Neil will be given the responsibility of Saint Hurmizd Assyrian Primary School. 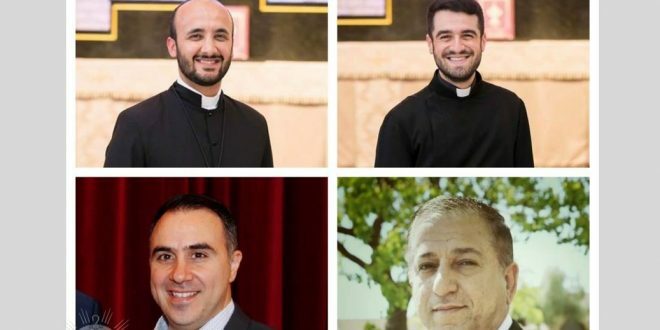 Deacon Sami Shamuel to be elevated to the ranking of priesthood and taking on the responsibility of Saint Narsai Assyrian Christian College. 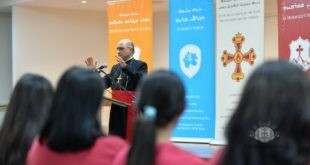 At the same time, Deacon Sami will be given the responsibility of the biblical and religious education of Sydney. We congratulate our clergy and pray the Lord guides and blesses their services for the Holy Church.